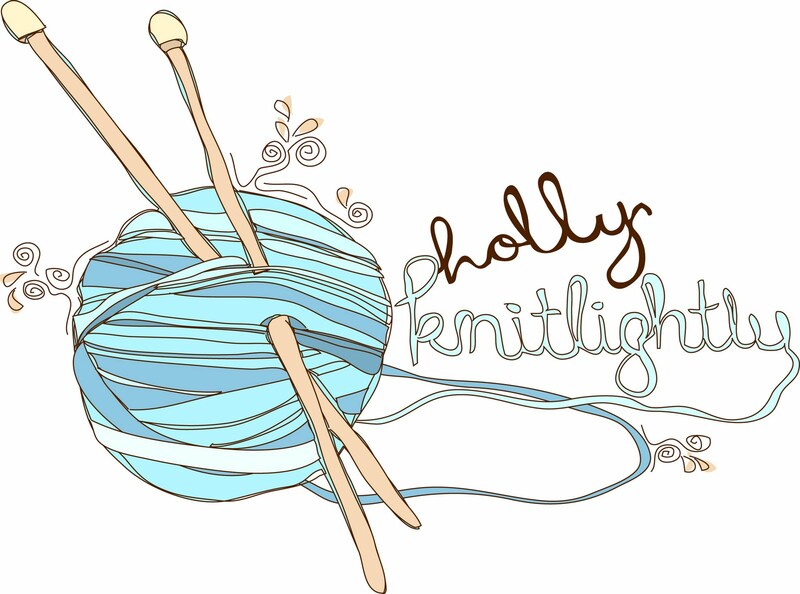 Holly Knitlightly: Emma from Food Coma! and thrift shopping and snuggling up with a good book at the end of a long day. Currently I have been a little obsessed with Nutella, a new found flavor for me. So I've been trying to put it in everything. If possible. 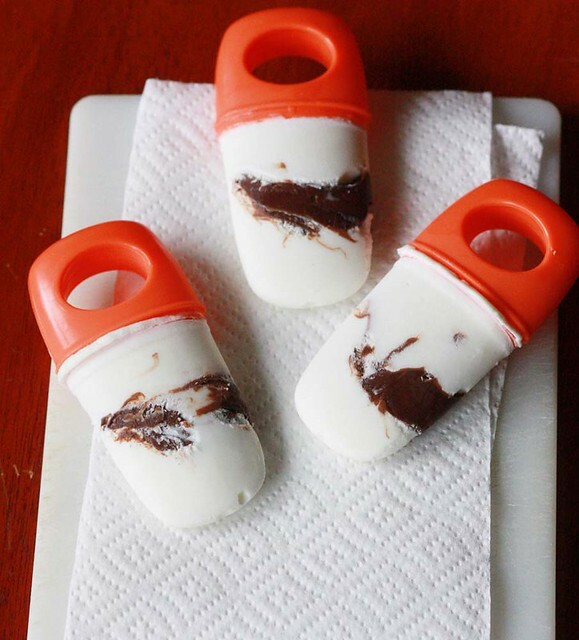 I recently made these little Nutella and Greek yogurt popsicles. They are super easy to make (only requiring two ingredients) and I love the sweetness of the Nutella paired with the tartness of the yogurt. Yum! I got my popsicle tray from Wal-mart. It can make 6 small popsicles at once and cost around $4, plus it's reusable. 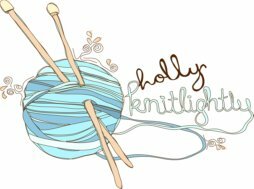 There are plenty of cute and inexpensive ones out there. So if you don't own one yet I highly recommend investing in a set. 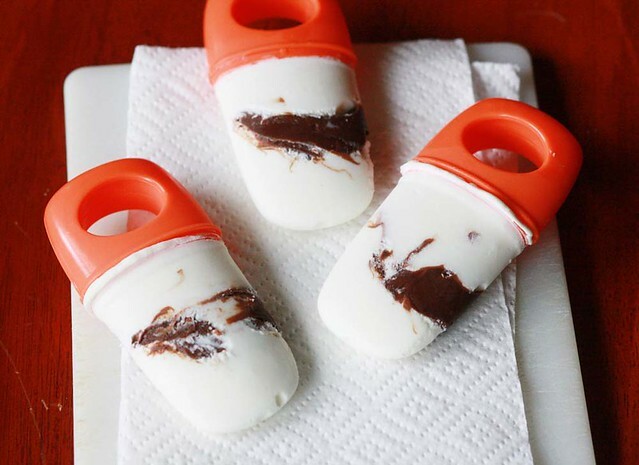 Once you are ready to make popsicles simply fill your tray with a layer of yogurt, a layer of Nutella, and more yogurt on top. Insert your stick and freeze overnight. Yum, yum, yum. Ingredients are on the list! Perfect....just was I visioning as I ate that spoonful of Nutella with my Greek Yogurt. It can be done! Yum on a stick! Hey! Those look delicious! You have to try the new nutella shake at steak n shake! It is so good! There is nutella all up in there!! So good! !